FIFA has called on the authorities of Bahrain and Thailand to act correctly and urgently to ensure that the player Al-Araibi can return safely to Australia. FIFA has called on the authorities of Bahrain and Thailand to act correctly and urgently to ensure that the player Al-Araibi, born in the first country and imprisoned in the second, can safely return to Australia, where he resides as a refugee and play. 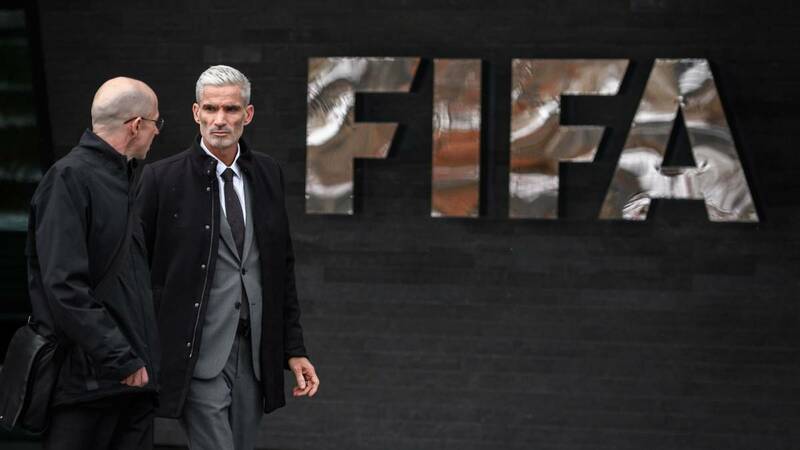 FIFA's new request came after a meeting held by its general secretary, the Senegalese Fatma Samoura, with the former Australian international Craig Foster and the representative of the World Players Association, Brendan Schwab. "It was a very productive and has allowed us to exchange very useful information about the case, especially after Mr. Foster visited Hakeem Al-Araibi last week in Bangkok.We demand the authorities of Thailand and Bahrain to act correctly and ensure that he can return to Australia safely as a matter of urgency, "said Samoura. FIFA reported on Tuesday that in this last meeting reiterated its willingness to move the case to the highest level of the authorities of both countries. "We are pleased to see that FIFA recognizes the extreme gravity of the situation and its willingness to commit itself at the highest level. We are confident in its safe return to Australia and in Hakeem's human rights to be respected," said Craig Foster, days alerted the low psychological state of the player. Al Araibi, former player of the Bahrain national team and resident in Australia, was arrested on 27 November when he arrived in Bangkok on vacation with his wife from the Australian city of Melbourne due to an Interpol alert that was later withdrawn. The footballer is accused of attacking a police station in his country, a fact that he denies, and is in a detention center, while a Thai court assesses his extradition to Bahrain, where he says he fears for his life and has been tortured. Three days ago the International Olympic Committee (IOC) also expressed its support for the player and confirmed that one of its members had contacted the government of Thailand to transfer its position and its support to the efforts made by FIFA in the case.